Safer Streets for everyone – join the movement, make a difference! Here at RoSPA, we want to see safer streets that encourage walking and cycling not only because it helps to prevent injuries, but also because it has a positive effect on a range of health-related issues, including heart disease, mental health and air pollution. Making these links between safer roads and wider health issues are crucial. They can have a big impact on families too. Imagine being able to make the journey to school by bike, scooter or on foot without fear of being knocked down by speeding traffic. How would your children feel? Energised, happy, healthy…the list is endless. Stronger duties and incentives on local authorities to develop routes and promote cycling and walking. On the Sustrans website, you can find out more about getting support for making your street safer by creating a “DIY Street” – a tool to enable communities to take vital first steps to restore their streets for people and not cars. Earlier this year, we unveiled new guidance for road safety and public health professionals to help boost the nation’s health. The report reveals that the greatest impact can be achieved when public health and road safety teams tackle shared agendas, such as working together to reduce the speed and volume of motor traffic or introducing road layouts that encourage safe walking and cycling. And let us not underestimate the benefits of introducing 20mph speed limits in built up areas; lower speeds make crashes less likely and less severe when they do happen and are effective at protecting people, especially children, pedestrians and cyclists from being killed or injured. 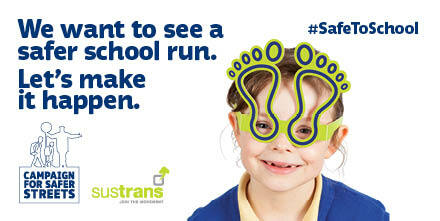 They also encourage more people to walk and cycle by providing a more pleasant and safer environment. Councils are responsible for determining where 20mph limits should be introduced and they should take advantage of opportunities to implement them where they are needed. And this is where you come in! As part of the process, councils consult and engage with local communities and other stakeholders to make sure that safer roads are prioritised where needed and that residents have input into the schemes’ development. What are you waiting for? Get involved! Equipping children with the skills and experience they need to keep themselves and others safe is of a real benefit to society as a whole. 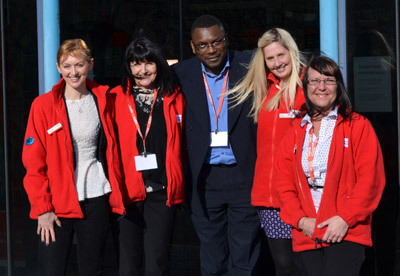 Providing a warm welcome at the LASER Alliance Annual Conference, from left, DangerPoint staff, Isobel Smith, Julie Evans, Cat Harvey and Hazel Firth with LASER Alliance co-ordinator Cassius Francis (centre). This was a viewpoint shared by safety education professionals who gathered recently at the LASER Alliance Annual Conference, held at DangerPoint interactive activity centre in north Wales. The LASER Alliance, hosted by the Royal Society for the Prevention of Accidents (RoSPA) and sponsored by the Gas Safety Trust, brings together a range of UK-based organisations and individuals that believe in children and young people “learning about safety by experiencing risk” (from where the acronym “LASER” is drawn). DangerPoint proved to be the perfect setting for the event, which this year focused on issues relating to high quality practical safety education (HQPSE). HQPSE seeks to deepen children’s knowledge and understanding of risk competence and to develop skills appropriate to their age. The centre presents children with a variety of safety scenarios in which they are required to actively “seek out” the best way of dealing with a situation and share their findings with their peers. During a tour organised by centre staff on the day of the conference, delegates were given the chance to learn more about safety and risk from a child’s point of view in the following scenarios: in the home; on the bus; on the train; on the farm; in the countryside; at the beach; on the road. Areas of the centre are also dedicated to the topics of drugs, bullying, digital safety, shop safety, and electricity safety. 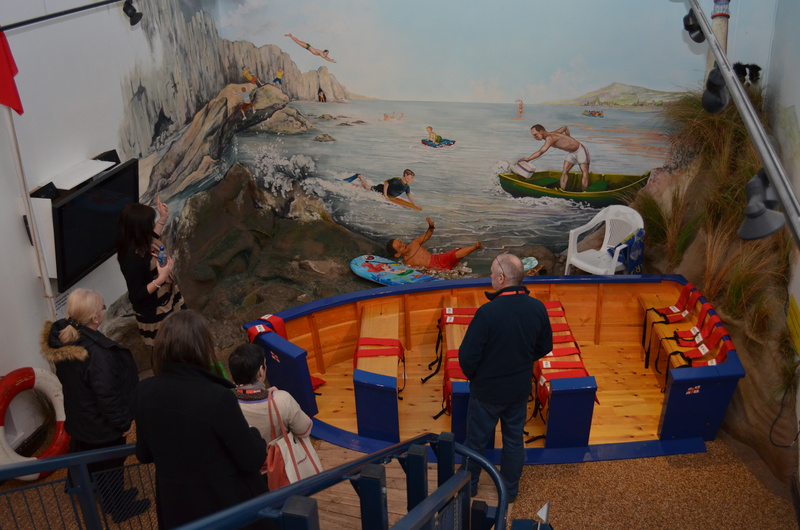 The beach safety learning zone was shown to delegates during a tour of DangerPoint. There were plenty of engaging and interactive games to grab your attention, from learning how to cross the road at a dummy traffic crossing to remembering how to stay alert in and around water. Each zone is designed to help educate the community in essential life skills and a group of highly trained rangers are on hand to engage with visitors, some of whom are bilingual. Also adding a splash of colour to the day were pupils from Middlewich High School, in Cheshire, who gave a lively performance on how to stay safe on the internet, with help and guidance from Konflux Theatre. Their “Click Safe” internet drama revealed the potential pitfalls of striking up online friendships with strangers and guided the audience through a checklist of what to do if they are being bullied online. 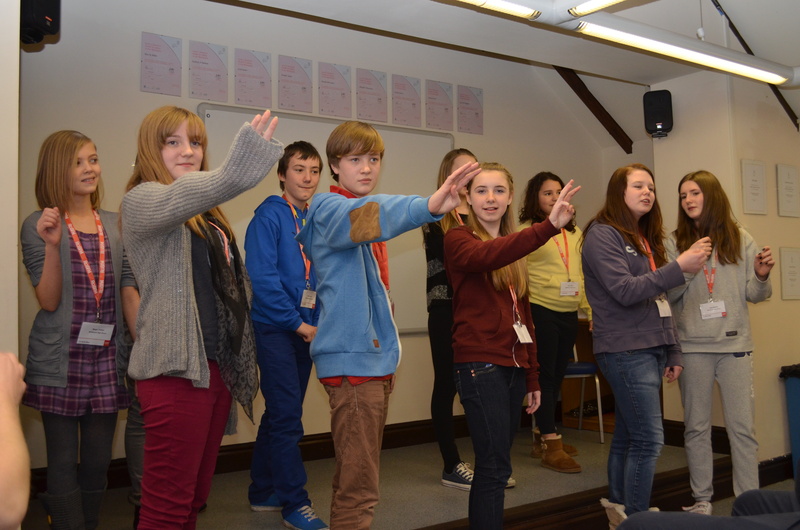 Delegates were hooked by the pupils’ thought-provoking messages which they displayed through drama and the group received a round of applause at the close. Meanwhile, young people from the Salford Foundation ran a workshop on a project they helped to organise through the National Citizen Service, aimed at delivering safety messages to older people in their community. The group revealed their reasons for joining the NCS, from building up their confidence to becoming more mature and learning how to work with other people. One 17-year-old boy said that delivering a presentation to the older community using RoSPA as a source of the safety messages had not only been beneficial, but had also helped to break the perception of teenagers having a “bad reputation”. Pupils from Middlewich High School perform their “Click Safe” internet drama. A variety of workshops were held throughout the day, each of which was designed to share best practice and encourage lively discussion. Leading the workshops were safety education professionals from RoSPA, DangerPoint, Hampshire Fire and Rescue Service, DRS Safety and Brockenhurst College. Guest speeches were also given by RoSPA’s deputy chief executive Errol Taylor on public health and HQPSE and Marcus Bailie, head of inspection at the Adventure Activities Licensing Service (AALS), on adventure, young people and HQPSE. Some interesting topics were raised; including RoSPA’s uncovering of fresh evidence surrounding “years of life lost” – a measure of premature mortality – and the importance of encouraging children and young people to identify hazards early on through participating in adventure activities. The LASER Alliance aims to lead the way in practical safety education and it is through being “hands on” that we hope children and young people will be able to feel confident enough in themselves to know what is and isn’t a safe decision; think about the benefits of risk taking as well as the harms; say when they feel unsafe; and demonstrate their ability to keep themselves and others as safe as necessary no matter where they may be. “Health visiting is not about telling parents what to do, but more about supporting them to make changes, equipping them with the skills they need and empowering them with the information to do the best thing for their children.” – Sally Tilley. When I visited RoSPA, I was surprised by the statistics, in particular the sheer number of accidents that happen to children in the home. It got me thinking, that as public health home visitors, we are in a prime position to offer advice on home safety and so by getting our message across, we may each be able to prevent just some of the many accidents that happen every year. For example, if we alert a family to the risks of hot drinks, medications and blind cords, we may be able to fulfil most of the above and reduce the costs both financially and emotionally to society and individual families. We already routinely give sleep safe advice to reduce the risk of sudden infant death syndrome (SIDS), also known as cot death, as part of our standard care packages, so I thought why not do the same with blind cords? Families are busy and having a new baby to look after can be both tiring and stressful, toddlers even more so! Most parents want the best for their children, but simply may not have considered the risks their home may pose or how their children’s natural inquisitiveness and development stages could lead to an accident. Health visiting is not about telling parents what to do, but more about supporting them to make changes, equipping them with the skills they need and empowering them with the information to do the best thing for their children. That’s not to say that we would not bring up issues of safety if asked; we would help people to understand the risks and provide them with the information on how to minimise them. For example, at an antenatal visit we might say, “Have you had any thoughts about safety in the home?” or “What do you know about making the home safer for children?” to get them to talk about what they already know. They may say, “Well we’ve thought about buying safety gates and a child car seat”. We can then compliment them on what they already know, by talking about the correct use of safety gates and child car seats, saying something along the lines of, “I can see you’ve already thought about this, although you may not have been aware that blind cords can also pose a safety risk, however I have some information on how you can manage that too”. At postnatal visits we might also talk about development and relate that to possible safety risks. A conversation may go something along the lines of, “I see your baby is rolling now, which is great, although it does mean he will keep you busy. Make sure he doesn’t roll into or off things, in fact, changing him on the floor is a lot safer” or “It looks like he’ll be walking soon, I can give you some tips on how to get ready for that by making your home safer”. We have guidelines as to what to cover at standard visits, although visits are never the same and the process is not a tick box approach. Each family is different and a family may have different needs at each visit or at different stages of the child’s development. Often, there may be an unexpected crisis that needs to be dealt with. However, I think health visitors are always considering whether there are any concerns; it is part of our standard assessment framework to look at a child’s developmental needs, parenting capacity and family and environmental factors. Child safety in the home is encompassed by this framework and health visitors are generally skilled at searching for health needs and recognising where prevention or promotional advice is required. “The RoSPA leaflets that I was able to take away with me have been very useful for striking up a conversation about safety with clients. 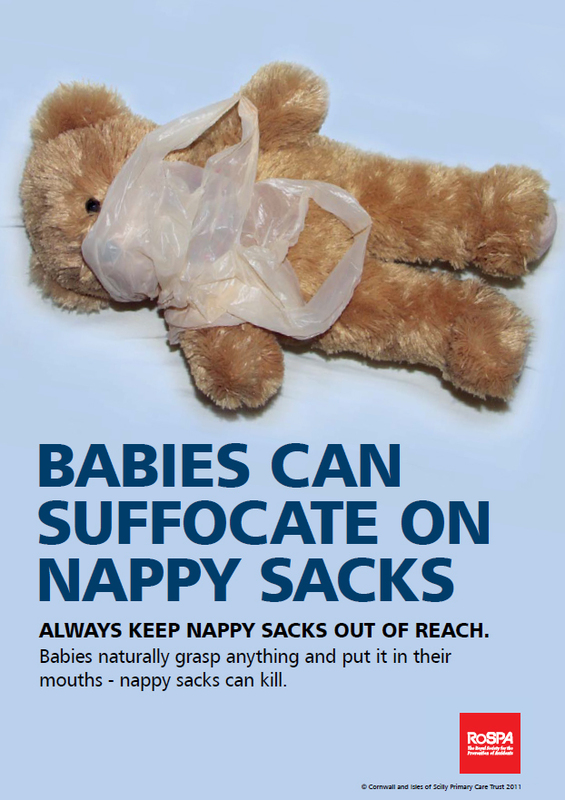 If I can pass on this valuable information to a family, it may just make a difference to the health and wellbeing of a child by helping to prevent an accident” – Sally Tilley. Most families are receptive to advice and grateful for suggestions but, of course, if a situation is considered as dangerous and families are not receptive to advice and do not put the needs of the child first (and very often there are other concerns in a case like this) we can express our concerns to social care who would look at the whole picture before deciding on any action. This would generally be discussed with the family before enabling them to understand what the concerns are. 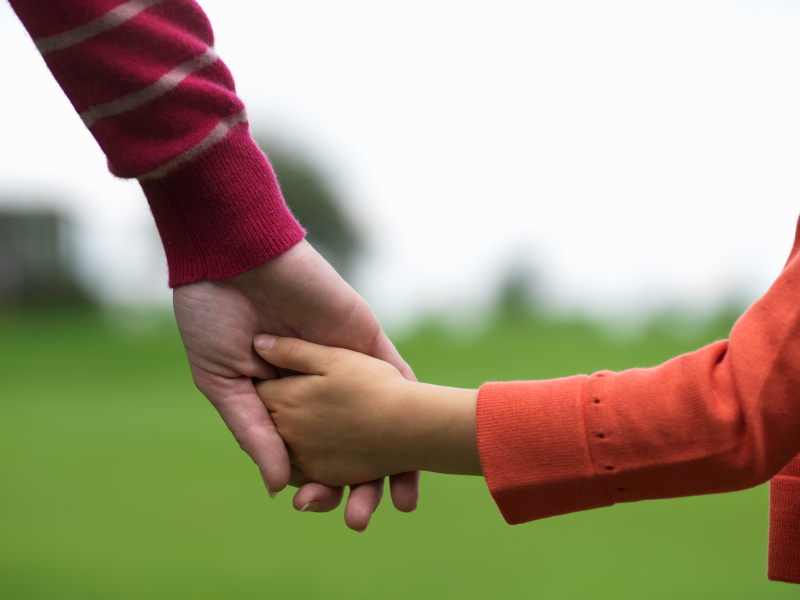 A referral may actually mean more support can be offered if a family is struggling to keep their child safe from harm. We may not be able to cover everything in one visit, but we can develop relationships and tackle things in several visits, through leaflets and at clinics. Sometimes the team organises group sessions that cover safety issues and we promote these sessions on visits. However, we can only advise within the scope of what we know and that’s where evidence-based, standardised information and advice from an organisation such as RoSPA could come in. I have been lucky to undertake a study day on child safety in the home with RoSPA and it has equipped me with the knowledge and skills to recognise risks and to know how to minimise them. In fact, the leaflets that I was able to take away with me have been very useful for striking up a conversation about safety with clients. If I can pass on this valuable information to a family, it may just make a difference to the health and wellbeing of a child by helping to prevent an accident. After all, that’s what we are there to do. *Taken from The Children’s Act, HM Government, 2004. Play time is changing. 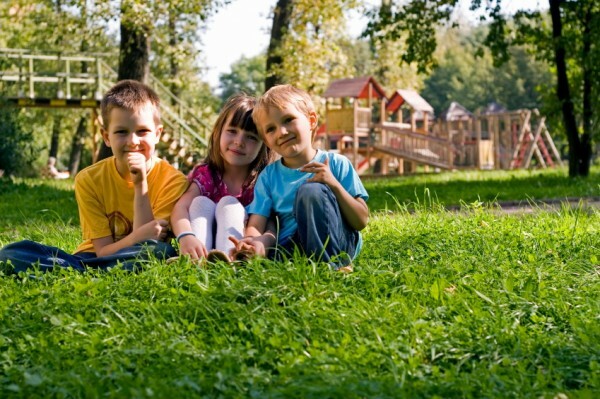 In a modern age of technology and increasing safety concerns (as often reported by the media), children and young people are shying away from natural play in the great outdoors to immerse themselves in television and computer games. Some say this is down to the curse of a “cotton wool culture” where children and young people are failing to learn from experience i.e. gaining bumps and scrapes from building a tree house and instead are being “robbed” of this early key development by parents concerned for their children’s well-being. It is a fact however, that there are generations of parents and grandparents who grew up having fun outdoors, so what’s gone wrong? The LASER Alliance, hosted by RoSPA, is committed to helping children and young people learn about safety by experiencing risk. Experiencing risk is essential in order to develop the skills to cope with all that life throws at them, whether they are learning to cross the road, helping to build a den in the woods or knowing what to do in an emergency. The Alliance was officially launched earlier this year at an event bringing together safety education practitioners from across the country – and the choice of venue could not have been more fitting. Bristol Lifeskills became the first safety centre to receive accreditation through a new RoSPA and Department of Health scheme in 2007. Based at The CREATE Centre, Hotwells, it uses realistic settings such as a house, building site and zebra crossing to help children and other members of the community learn more about home, road and leisure safety. A variety of settings, resembling snippets of real life, help to stress the importance of assessing risks and dealing with potential hazards or difficult situations. The centre provided an ideal backdrop to the LASER Alliance event that attracted around 50 delegates who were keen to network with other members from across the UK. Workshop leaders and delegates representing annual safety events, schools, colleges, universities, fire and rescue, and police services, local authorities, permanent safety centres, driving academies, private and voluntary sector organisations and utility companies, help to reinforce RoSPA’s guiding principle that life should be “as safe as necessary, not as safe as possible” through varied activities. The new Alliance includes members of two former practical safety education projects – CSEC (Child Safety Education Coalition) and LASER (Learning About Safety by Experiencing Risk). Members teach children and young people how to avoid injury by managing risk and in so doing help them to fulfil their full potential as adults. 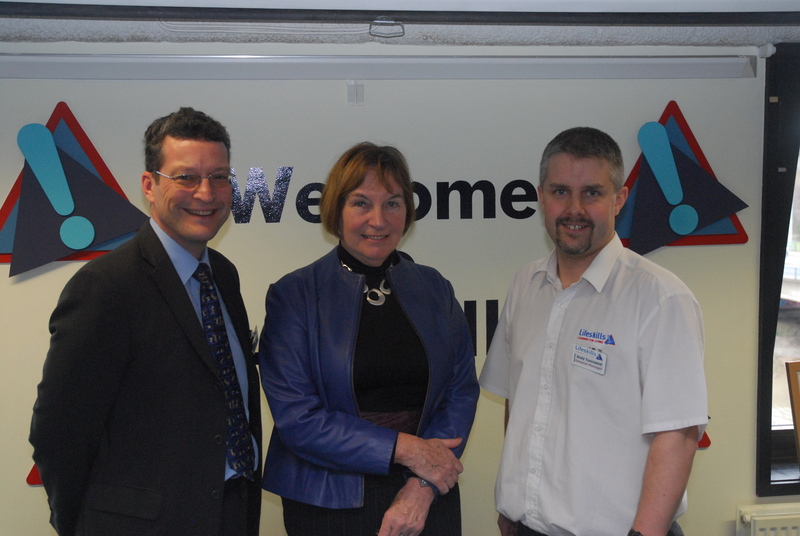 At the first LASER Alliance event, from left, ErrolTaylor, RoSPA's deputy chief executive; Dr Mary Benwell, a trustee and past chair of the Gas Safety Trust and Andy Townsend, general manager of Bristol Lifeskills. Among the speakers at the event, where the LASER Alliance’s three-year sponsorship deal with the Gas Safety Trust was announced, were Errol Taylor, RoSPA’s deputy chief executive; Andrea Kennedy from Brockenhurst College; Dave Evans from Riskwatch: Nottinghamshire Fire and Rescue Service; Ceri Kingston, from The Royal Life Saving Society UK (RLSS); Sophie Hepworth from Wealden District Council; Dr Elizabeth Towner from the University of the West of England; and Julie Evans from DangerPoint, North Wales. A series of workshop sessions followed covering a range of practical safety education topics, which opened up a forum for debate and discussion. Delegates also had the opportunity to share experiences and pick up tips on how best to work together. Helping directors of public health to realise that practical safety education is crucial in the public health arena, by encouraging directors of public health to look at local accident prevention plans. The National Trust has recently called on grandparents to get “housebound” youngsters outside, after a report commissioned by the trust found that the “roaming radius” for children has declined by 90 per cent over the past 30 years. Hundreds of professional bodies are calling on Parliament to tackle the culture of fear and frustration that prevents young people from exploring the world around them – and the LASER Alliance is among them. To generate debate, the Alliance is calling on as many MPs as possible to put their name to Early Day Motion (EDM) 1954. More than 150 MPs have already signed-up, but the campaign needs at least 50 more to make an impact. It is part of the wider “Free Range Kids” initiative, which is being spearheaded by Sustrans, which is also a member of the Alliance. If we’re serious about future generations of independent young people getting out and about with knowledge and confidence, then constraints should be cut to allow them to walk, cycle and play outside, benefiting children’s health in the process. The LASER Alliance aims to lead the way in practical safety education. The LASER Alliance aims to lead the way in practical safety education. It has a network of regional champions based across the UK who promote the Ten Principles of Effective Safety Education, which underpin the alliance’s definition of high quality practical safety education, and contribute to the LASER Alliance’s policy making process. Organisations working with children and young people that are interested in joining, should email cfrancis@rospa.com. For more information on joining the LASER Alliance, visit www.lasersafety.org.uk/join/. Following on from Michael Corley’s recent blog post – Lies, Damn Lies, and Statistics – about accident prevention, it seems that the topic of today’s blog post is entirely appropriate as an illustration of how accident prevention can work. In 2009, RoSPA launched the Safe At Home scheme (funded by the former Department for Children, Schools and Families), which had the aim of reducing accident rates among under-fives through targeted support for families in 141 areas in England with the highest accident rates. Support included the provision of home safety information and safety equipment, such as safety gates, fireguards and window restrictors, through a network of new and existing local home safety equipment schemes. RoSPA also trained staff working at the local schemes. The scheme has been incredibly successful, exceeding its target of supplying safety equipment to 60,196 families. The final figures show that the total number of families to receive free equipment by March 31, 2011, when the scheme came to an end, was an impressive 66,127. You see, raising awareness of risk is NOT the same as telling people what to do in their own homes. 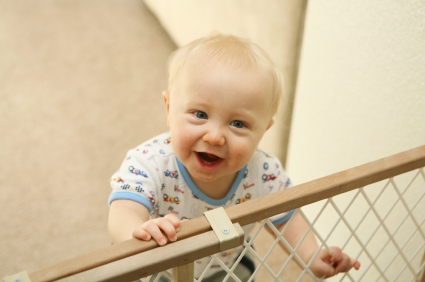 If you’re a new parent, or are not around small children very often, it’s unlikely that you’ll know about the hazards toddlers face in the home. Getting down on your hands and knees and looking at the world from their point of view paints a very different picture – and reveals a multitude of hazards that were not apparent before. For instance, before I started working at RoSPA, I had no idea that blind cords could pose any risk to children (or my cats!) – and why would I, without being told? I’ll always make sure I tie cords away with a cleat in the future – which is all that is required if, like me, you like blinds that require cords. Accident prevention is not about banning things left, right and centre and it’s not about stopping people from having fun; it’s about raising awareness of the risks and taking reasonable steps to mitigate them – as well as improving industry safety standards. Our blind cord safety campaign is a good illustration of the type of work we do. Presenting people with good advice and information, and allowing them to make their own choices about how to protect their families, enables them to take responsibility for their own safety without having outside “experts” tell them what to do. All accident prevention work should be based on sound data, to ensure that time, money and resources are not wasted on interventions that target the wrong people, or are simply unlikely to work. The statistics mentioned earlier enabled us to target the Safe At Home scheme at those who needed it most. In order to qualify to receive equipment, families with children aged 0-5 must have been living in an area covered by a participating project, and must also have been in receipt of certain benefits. The evidence shows that children from disadvantaged backgrounds are more likely to be injured or killed in accidents. And in fact, shockingly, children of parents who are long-term unemployed or who have never worked are 13 times more likely to die as a result of unintentional injury and 37 times more likely to die from exposure to smoke, fire or flames than children of parents in higher managerial or professional occupations. By installing a few simple safety measures such as smoke alarms, stair gates and window restrictors, the quality of life for these families could be vastly improved at no cost to themselves, and little cost to society – compared with the vast amount of money accidents and injuries cost us all. It is hoped that the Safe At Home project has enabled local communities to run their own sustainable projects now the national scheme has come to an end. More details about the achievements of Safe At Home will be announced when the project’s evaluation report is published in the next few weeks. In the end, accident prevention advice and information could save the life of one of your family members. If you talked to someone who had lost a child in a home accident, you would probably find they had a very different perspective from the “elf ‘n’ safety” myths whipped up by some sections of the media. Prevention is always better than cure. This applies to accident prevention as much as anything else. Join the debate – and support our campaign today.